This week: Artist and videographer Jillian Mayer! 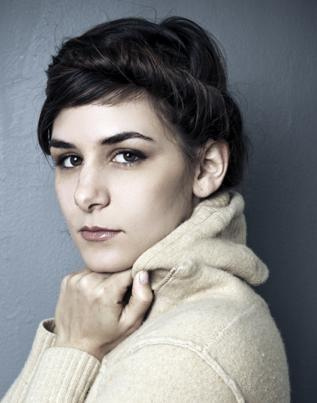 Born in 1984 in Miami, the artist and filmmaker Jillian Mayer lives in South Florida. Her work has been shown at the Utah Museum of Fine Arts, Salt Lake City (2014); Orlando Museum of Art, Orlando, FL (2014); Locust Projects, Miami (2013); Museum of Modern Art, New York (2013); Bass Museum of Art, Miami (2012); and World Class Boxing, Miami (2012). Her video Scenic Jogging was one of the 25 selections for the Guggenheim’s YouTube Play: A Biennial of Creative Video and was exhibited at the Solomon R. Guggenheim Museum, New York; Peggy Guggenheim Collection, Venice, Italy; Guggenheim Museum, Bilbao, Spain; and Deutsche Guggenheim, Berlin (2010). Her videos have also been shown at the Rotterdam Film Festival (2014); Sundance Film Festival (2012, 2013); SXSW, Austin, TX (2012, 2013); and New York Film Festival (2013). A recipient of the Sundance Institute New Frontier Story Lab Fellowship (2013); the Zentrum Paul Klee Fellowship, Berne, Switzerland (2013); the Cintas Foundation Fellowship, New York (2012); and the NEA Southern Constellation Fellowship at Elsewhere Museum, Greensboro, NC, Mayer was included in the “25 New Faces of Independent Film” by Filmmaker Magazine (2012). She was recently featured on the cover of ART PAPERS. Mayer is represented by David Castillo Gallery, Miami.